Cover baking sheet with parchment. Use serrated knife to cut candy bars crosswise in half. Dip tips of 8 lollipop sticks, 1 at a time, into green candy coating. Place on backs of candy bar pieces, pressing gently into candy bars to secure. Place, top sides up, on prepared baking sheet. Spoon remaining green candy coating into piping bag; cut off tip. 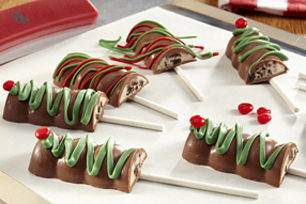 Use to drizzle green coating over candy bar pops. Repeat in separate piping bag with red candy coating. Refrigerate 5 min. or until candy coatings are firm. 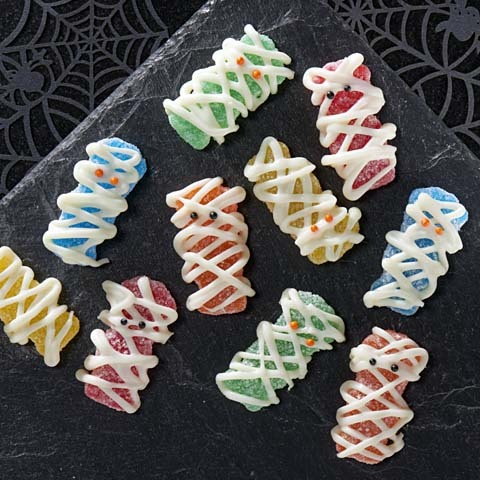 Special ExtraTo decorate as Christmas trees, omit the red candy coating. 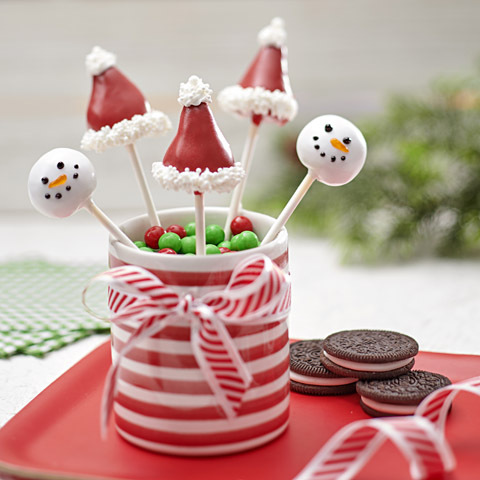 Use some of the melted green candy coating to secure lollipop sticks to halved candy bars as directed. Spoon remaining green candy coating into piping bag; cut off tip. Use to draw Christmas trees on tops of candy bar pops. Top each tree with small hot cinnamon candy. 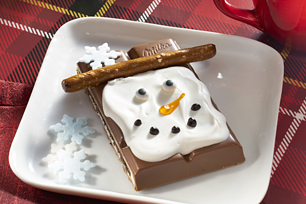 SubstitutePrepare using any color(s) candy coating wafers to celebrate your favorite holidays or sports team's colors. 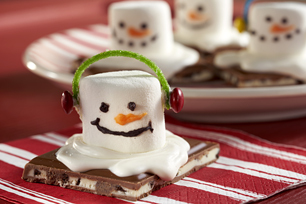 SubstituteDrizzle candy bar with your favorite color of melted candy coated wafers. Sprinkle with colored sugars or sprinkles.